Notice the pin has been pulled out. 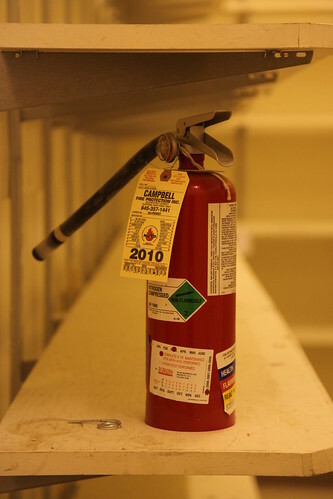 However, the extinguisher did not appear to be discharged. Also note that the inspection tag certifies it through 2010, indicating that this store has not been empty very long.